Trevor, firstly can you please tell us about the history of Energy International? When was the company established, who owns it and what kind of logistics business are you mainly involved in? Personally, I am British and my family came to live in Genoa after World War II, taking over a shipping agency. I was involved very early on in first hand port activity, as agents for Delmas to West Africa and Rickmers with their conventional service to China (before HL took over). Fast forward to today and I have lived in Milan for over thirty-five years. Energy Intl. Logistics started as we teamed up with partners coming from multinationals, such as Geodis, K&N, Fagioli, JAS etc. and we decided to start our own business in February 2011, combining our common knowledge in the road transport, sea freight and projects sectors. Our CEO is Maurizio Curone, who, today with another three shareholders, manages Energy, TSI (national distributer) and Sintesi (Engineering). Franco Faini (ex Fagioli, JAS Projects) and I head projects and OOG cargo and the rest of the business is in European road services and air-freight. Italy (in particular) is well known for having many customers that often ask for a very long credit time. How do you manage that as a project freight forwarder nowadays? Indeed, this is an ‘Italian problem’. Many if not all clients request sixty to ninety-day credit terms and as a result this requires substantial cash flow to pay owners, or the use of banks at a very high cost. We try and split the FOB costs with long credit and sea-freight with shorter terms, but very few respond well to this proposal. Do you have experience in handling project cargo in and out of Italy? If so, could you please provide us with some examples? Yes, we have a combined experience that puts us in a privileged position in working with many large clients and we are able to give them the ‘personal touch’, which is often lost on the multinationals. We follow clients twenty-four-seven and many of them realize that this value-added service has faded away for many reasons that everyone knows. Some of our clients are major players in helicopters and cockpits, engines and electric generators, port and offshore cranes and many others. We also have many clients abroad in the Middle East, Indonesia and Mexico. Competition amongst forwarders is fierce. What are you doing in order to stand out as first among equals? Truly, the market is full of forwarders who also sell project cargo services. 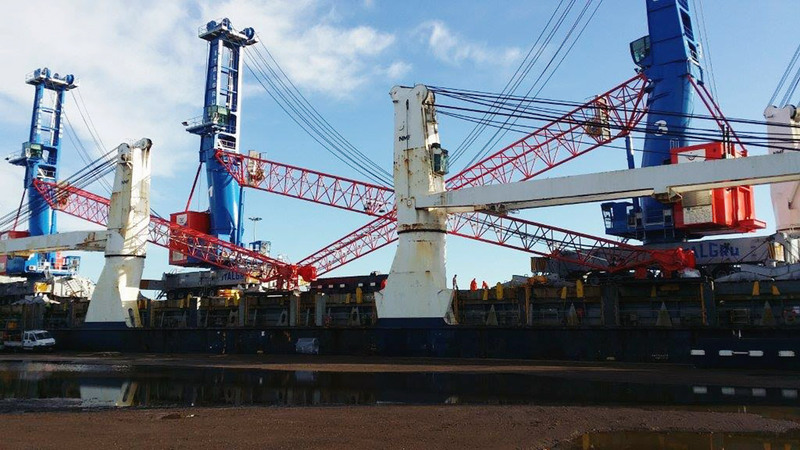 We find ourselves quoting for, let’s say, a part charter project involving FOB delivery of a 4/500-ton crane, organizing all the l/s/d, loading, the actual fixing of the vessel up to FAS port of discharge and then at the end we find we are negotiating a 1000-euro difference on a freight of over $250/300K because someone quoted less. We can only bring our long-term experience (my ex-Fagioli colleague in projects is a true architect in this industry) and very few can match. Clients often understand this and appreciate it. How do you find the level of customer service from the major shipping lines, both in container and breakbulk, nowadays? Are there any shipowners that you’d recommend as having excellent customer service, or any whom you’d similarly refrain from using? It varies. We have good relationships with some major carriers, but with others we are measured by TEU volume rather than OOG and get treated consequently. In projects, we work with Big Lift and Splithoff, who follow us very well through their Italian brokers and occasional visits. Most booking, even with OOG, is done online and with some container operators there are coordinating problems in terms of documentation. Sometimes it’s a nightmare and we try to stick with a couple of good operators if we can. Do you currently belong to any international networks? If so, why and how do you find it useful? Yes, we joined Cross-Ocean after rather a lengthy research period. We get good feedback and good sales leads that help us to quote new business. With trusted members around the world, we feel confident that we’re building good and healthy relationships with new partners. Italy has many ports. 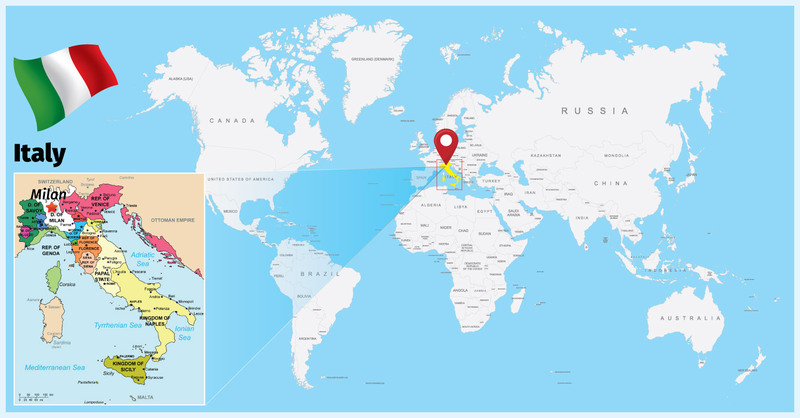 Could you elaborate for our readers on which ports in Italy are mainly used for handling project cargo? Being a smallish company, we mainly concentrate on northern Italian ports as Venice or Genoa/La Spezia. 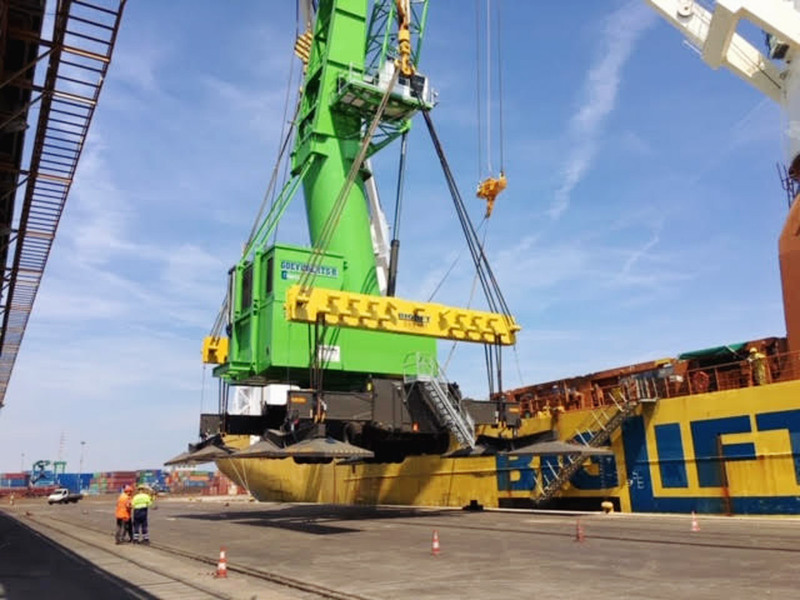 We are currently involved in moving a ninety-ton transformer to Russia and will be working with Chioggia to Novorossiysk (a very small but cheap port for this trade).